So in light of the importance of Member State nationality to EU citizenship, can the loss of Member State nationality be reviewed for compliance with EU law? The recent judgment in Tjebbes was the latest of the CJEU’s rare opportunities to rule on this issue, and offers some important clarification of the law. The first ruling of the Court of Justice on nationality issues was Micheletti. In this case, one Member State’s authorities were reluctant to recognize the nationality of another Member State which Mr Micheletti had acquired, given that he was also (and initially) a national of a non-EU State. The CJEU started by recognizing that ‘[u]nder international law, it is for each Member State, having due regard to Community law, to lay down the conditions for the acquisition and loss of nationality’ (emphasis added). This wording left the door slightly ajar for possible scrutiny of Member States’ nationality laws, by hinting that Community (now EU) law might place some constraints on national sovereignty on this issue. However, it took nearly twenty years before the Court began to elaborate on such constraints. In the meantime, in the judgment in Kaur, the Court referred to the principle that Member States could define their own nationals, referring to a ‘principle of customary international law’ to this effect. According to the Court, this left the UK free to define ‘several categories of British citizens whom it has recognised as having rights which differ according to the nature of the ties connecting them to the United Kingdom’. The rights of these persons were defined in a declaration to the UK’s Treaty of Accession, which was updated later following changes in British nationality law, but that declaration did not deprive anyone of any EU law rights, for ‘[t]consequence was rather that such rights never arose in the first place for such a person’. Subsequently, in the case of Rottmann, the Court began to set out limits to national control of the loss of nationality, as regards a person who (unlike Ms Kaur) had enjoyed the status of EU citizenship, but then was deprived of it. Mr Rottmann was an Austrian citizen and resident by birth, who later moved to Germany following the start of an investigation against him for serious fraud. He applied for and obtained German nationality, with the result that he lost Austrian nationality. But once the German authorities found out about the previous proceedings in Austria, which Mr Rottmann had not disclosed to them, they began the process of withdrawing his German nationality; and it did not appear that he met the criteria for the reacquisition of Austrian nationality either. The CJEU began by agreeing that in line with a declaration to the TEU and the Edinburgh Decision of Member States’ heads of government of 1992, Member States had competence to determine who their nationals were. However, even if a matter falls within national competences, the exercise of those competences must have due regard to EU law. In this case, the ‘situation of’ an EU citizen who ‘is faced with a decision withdrawing his naturalisation, adopted by the authorities of one Member State, and placing him, after he has lost the nationality of another Member State that he originally possessed, in a position capable of causing him to lose the status’ of EU citizenship conferred by the Treaties ‘and the rights attaching thereto falls, by reason of its nature and its consequences, within the ambit of European Union law’. Therefore the CJEU could rule on the ‘conditions in which a citizen of the Union may, because he loses his nationality, lose his status of citizen of the Union and thereby be deprived of the rights attaching to that status’. This ‘does not compromise the principle of international law previously recognised by the Court’ that Member States ‘have the power to lay down the conditions for the acquisition and loss of nationality’; rather it ‘enshrines the principle that, in respect of citizens of the Union, the exercise of that power, in so far as it affects the rights conferred and protected by the legal order of the Union’, such as ‘in particular’ a withdrawal of naturalization as in the Rottmann case, ‘is amenable to judicial review carried out in the light of [EU] law’. In Mr Rottmann’s case, a withdrawal of nationality due to deception could be compatible with EU law, since it was in the ‘public interest’ and ‘it is legitimate for a Member State to wish to protect the special relationship of solidarity and good faith between it and its nationals and also the reciprocity of rights and duties, which form the bedrock of the bond of nationality’. Withdrawal of nationality on such grounds was provided for by international law, in particular the 1961 Convention on the Reduction of Statelessness and the Council of Europe’s European Convention on Nationality. It was therefore up to the national court to determine the proportionality of the decision in light of national and EU law. On this point, the national court had to ‘take into account the consequences that the decision entails for the person concerned and, if relevant, for the members of his family’ as regards the loss of EU citizenship rights, assessing ‘in particular, whether that loss is justified in relation to the gravity of the offence committed by that person, to the lapse of time between the naturalisation decision and the withdrawal decision and to whether it is possible for that person to recover his original nationality’. While EU law did not ban the withdrawal of nationality before the person concerned obtained again his original nationality – ie there was no apparent ban on making the person concerned stateless – the national court had to consider whether ‘the principle of proportionality requires the person concerned to be afforded a reasonable period of time in order to try to recover the nationality of his Member State of origin’. Finally, the Court made clear that ‘the principles stemming from this judgment’ as regards the effect of EU law on national powers in the area of nationality law ‘apply both to the Member State of naturalisation and to the Member State of the original nationality’. What is the impact of the Rottmann judgment? First of all, as for the scope of the judgment, it did not seem to be relevant in this case that Mr Rottmann had previously exercised free movement rights; the Court referred to the loss of EU citizenship status in principle, not to the particular impact upon people who had moved within the EU pursuant to the citizens’ Directive or other provisions of EU law. Secondly, what substantive rules apply? The Court accepts the loss of citizenship can be justified on ‘public interest’ grounds such as deception, subject to the application of the principle of proportionality. However, it did not indicate how the public interest should be weighted as compared to the individual interest in retaining EU citizenship in this particular case. While the Court confirmed its analysis in Rottmann by reference to the Council of Europe Convention on Nationality and the 1961 Convention on the Reduction of Statelessness, it should be noted that the former Convention has been ratified by fewer than half of the Member States, and only a slim majority of Member States have ratified the latter. In fact, ten Member States have not ratified either treaty. Finally, procedurally, on the facts of Rottman there had to be a ‘reasonable period of time’ to pursue the re-acquisition of the original nationality, as an aspect of the principle of proportionality. However, while the Court mentioned judicial review there were no further details besides a reference to the national court’s obligations to apply the principle of proportionality, and no specific mention of administrative procedural rights. Tjebbes concerns four different applicants: a dual citizen (since birth) of the Netherlands and Canada; a Dutch citizen from birth who acquired Swiss nationality via marriage; her daughter, a dual Dutch and Swiss citizen from birth, who was listed on her mother’s passport when a child; and an Iranian national from birth who acquired Dutch nationality. 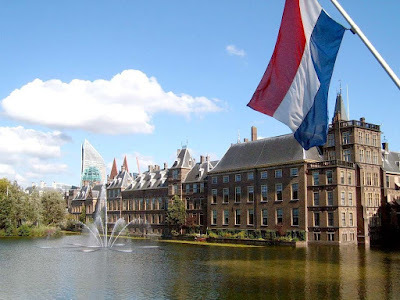 Each of them, when residing outside the EU, applied for a Dutch passport, but the authorities ruled that they had lost Dutch nationality automatically due to residence outside the EU. This resulted from Dutch law which provides for such loss after ten years’ residence abroad, if the person concerned has the nationality of another State. That loss could be prevented by residing in the EU for a year before the nationality was lost, or by obtaining a declaration regarding the possession of Netherlands nationality or a travel document or Netherlands identity card. There are also special rules on minors, entailing loss of Dutch nationality to correspond with the parent’s loss of that status. The national court had doubts about the notion of a general rule on loss of nationality (as distinct from a decision to strip a person of nationality in an individual case, as in Rottman), as well as the specific issues relating to loss of nationality by children, and so asked the CJEU to rule on whether the Dutch rules are compatible with EU law. The Court’s analysis began by specifically pointing out that none of the persons concerned had moved within the EU. So its judgment is concerned with EU citizenship as such, rather than loss of free movement rights. when exercising its competence to lay down the conditions for acquisition and loss of nationality, it is legitimate for a Member State to take the view that nationality is the expression of a genuine link between it and its nationals, and therefore to prescribe that the absence, or the loss, of any such genuine link entails the loss of nationality. It is also legitimate for a Member State to wish to protect the unity of nationality within the same family. Applying that principle to the facts of this case, the ten-year absence criterion in Dutch law ‘may be regarded as an indication that there is no such link’. As for children, ‘the lack of a genuine link between the parents of a child who is a minor and the Kingdom of the Netherlands can be understood, in principle, as a lack of a genuine link between the child and that Member State’. This interpretation was supported (as in Rottmann) by the Convention on the Reduction of Statelessness which provides for the possible loss of nationality ‘in similar situations’ as long as the person concerned ‘does not become stateless’. The latter risk was ruled out by Dutch law. Also as in Rottmann, the Council of Europe Convention on Nationality is relevant: providing that nationality can be lost in the event of ‘no genuine link between that State and a national habitually residing abroad and, in the case of a minor, for children whose parents lose the nationality of that State’. The applicable safeguard (a request within the 10-year period for the issuing of a declaration regarding the possession of Netherlands nationality, a travel document or a Netherlands identity card, interrupting the 10-year period) was also relevant. an individual assessment of the situation of the person concerned and that of his or her family in order to determine whether the consequences of losing the nationality of the Member State concerned, when it entails the loss of his or her citizenship of the Union, might, with regard to the objective pursued by the national legislature, disproportionately affect the normal development of his or her family and professional life from the point of view of EU law. Those consequences cannot be hypothetical or merely a possibility. would be exposed to limitations when exercising his or her right to move and reside freely within the territory of the Member States, including, depending on the circumstances, particular difficulties in continuing to travel to the Netherlands or to another Member State in order to retain genuine and regular links with members of his or her family, to pursue his or her professional activity or to undertake the necessary steps to pursue that activity. It’s also relevant that the person concerned ‘might not have been able to renounce the nationality of’ a non-EU country, and whether there’s a ‘serious risk, to which the person concerned would be exposed, that his or her safety or freedom to come and go would substantially deteriorate because of the impossibility for that person to enjoy consular protection under Article 20(2)(c) TFEU in the territory of the third country in which that person resides’. In many respects, Tjebbes confirms the Court’s ruling in Rottmann: national competence to regulate loss of nationality (and therefore EU citizenship) subject to minimum standards developed by the Court due to the importance of EU citizenship; taking account of international treaties as a source of those minimum standards; broad deference to national determination as to what the grounds of loss of nationality should be; a proportionality test which must take account of individual circumstances, including those of family members; and the requirement of judicial control. However, a number of points are further developed or new. First of all, it’s now clear beyond any doubt that loss of nationality of a Member State raises issues because of the consequential loss of EU citizenship regardless of whether the persons concerned have exercised free movement rights. Secondly, in Tjebbes the Court seems more concerned to avoid the persons concerned becoming stateless. Thirdly, the Court confirms that the issues which Member States may consider legitimate are not just the public interest concerns arising from the deception in Rottmann, but also the simple lack of residence within the EU for a sufficient period of time. (The Court does not comment on the hypothetical prospect of loss of nationality due to the exercise of free movement rights within the EU, but this would obviously be highly problematic in that it would penalise the use of free movement rights, and therefore deter their exercise. The Court does not comment on the possible relevance of the EU/Swiss free movement treaty as regards one of the persons concerned). It was arguably already implicit from Rottmann that Member States can sanction even more serious offences such as terrorism with a loss of nationality (and therefore EU citizenship). Fourthly, the Court accepts that nationality can be lost by means of a general rule, not just as a consequence of an individual decision. However, it considers it essential that the general rule on loss be complemented by a general safeguard – in this case, the possibility of forestalling the loss of nationality via an application for an identity document during the ten-year period. Fifthly, in both cases, the Court places strong emphasis upon a review of the proportionality of the loss of nationality, although the standards applicable are necessarily partly different. In both cases, the individual consequences must be assessed, but instead of ‘whether that loss is justified in relation to the gravity of the offence committed by that person’ (Rottmann), the test in Tjebbes is a disproportionate effect on ‘the normal development of his or her family and professional life from the point of view of EU law’, although the argument on this issue cannot be purely hypothetical. Furthermore, the Court requires the assessment to consider limitations on the exercise of free movement rights and consular protection (which are surely inevitable, except as regards Swiss citizens – although again, the Court does not mention the EU/Swiss treaty) including difficulties in travel to the EU (possibly a bigger issue if a visa requirement would be imposed, as in the case of Iran as distinct from Canada or Switzerland) as regards family links or professional activity. For minors, it is hard to see how the best interests of the child are served by the child’s loss of EU citizenship despite any decision by that child to leave the EU as an adult. Sixthly, the Court emphasises not only judicial control, but also the obligations of the administrative authorities. Finally, the Court places significant stress on the EU Charter of Rights, which it did not mention in Rottmann. However, there are still a number of uncertain issues. The Court’s degree of concern about the risk of statelessness seems to vary from the relative indifference in Rottmann to the implied safeguard in Tjebbes. This leaves the important question of the degree of certainty of obtaining the other country’s nationality (an issue in UK case law and disputes) undecided. Also, it’s still unclear how relevant the two international treaties the Court refers to in both cases might be – given that a number of Member States have not ratified one or both of them. One wonders also if various limits on judicial review or stemming from administrative procedure might be challenged for breach of effectiveness. Of course, there’s a limit to how much the case law on this issue can develop if the Court keeps receiving about one case per decade. It’s possible that the Court will soon get more though, if the UK soon becomes a non-EU State. This raises a variety of issues, most obviously whether UK nationals – who were citizens of the EU until Brexit Day – lose EU citizenship on that date (unless they hold the nationality of a remaining Member State)? The orthodox view is that they do, on the basis of the Treaty wording: ‘Every national of a Member State shall be a citizen of the Union.’ The obvious implication is that when your State of nationality ceases to be a Member State, you are no longer a citizens of the Union. This interpretation is reflected in the wording of the draft withdrawal agreement, which distinguishes between UK nationals and EU citizens, defining the latter as citizens of Member States but not listing the UK as a Member State. It also is implicit in the case law of the Court of Justice on loss of EU citizenship, which is based on the assumption that EU citizenship is lost when a person loses the nationality of a Member State. This is arguably a quite different issue from a country ceasing to be a Member State. The counter-argument is that the Treaty only sets out the means of acquiring EU citizenship, not losing it. It follows that Brexit cannot remove EU citizenship from those UK nationals who already had it. A Dutch court initially decided to ask the CJEU to clarify these issues (see discussion here), but an appeal court decided to block the case. The question might at some point be resolved by the CJEU one way or the other. Brexit will also raise other issues. In Member States that remove their nationality from citizens resident outside the EU, the UK’s non-EU status will bring more of their citizens within the scope of this rule. At the very least, should time spent in the UK when it was a Member State be ignored for the purpose of this rule? Or should the rule only apply to nationals who move to the UK after Brexit? This raises the broader question of whether time spent in the UK before Brexit day continues to have effect for the purposes of EU citizenship and free movement law (ie for those EU27 citizens who married a non-EU citizen in the UK and then returned to their State of nationality). More generally, given the importance of nationality to the essence of national sovereignty, the absence of power for the EU to harmonise laws in this field, the TEU declaration and the Edinburgh decision, there’s a strong case that the Court’s case law interfering with the national rules on the loss of national citizenship is unjustifiable in principle. However, this is vitiated by the great deference which the Court gives to Member States on this issue in its case law. Ultimately, the importance of this case law may be as an essential safeguard against any drift towards authoritarianism in a Member State which might want to strip government critics of their nationality for defying the ‘will of the people’. The problem is that any government already inclined to flout the rule of law so flagrantly may well ignore the CJEU’s rulings too. But this is a paradox to explore another day.